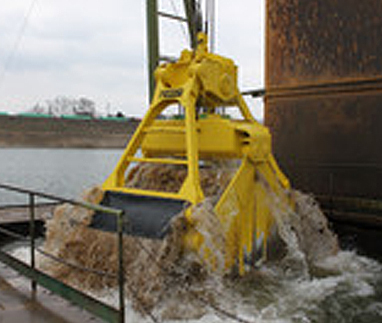 Extraction of sand and gravel under water at dredging depths up to 150m for two- or four-rope dredgers used for river and sea dredging purposes. These underwater rope Grabs are designed to suit the ground conditions (weight, rope reeving, tooth tips). Peiner SMAG Machinery (India) Pvt. Ltd.
© 2019 Peiner SMAG Machinery (India) Pvt. Ltd. All rights reserved.